This is a re-post of the official obituary for my teacher, written by one of her longtime students. The first Buddhist teacher to lead an all-women’s retreat and the first teacher to use movement and dance to train her students in mindfulness, Denison, who asked everyone to call her simply Ruth, created a quintessentially female, body-centered way of teaching. 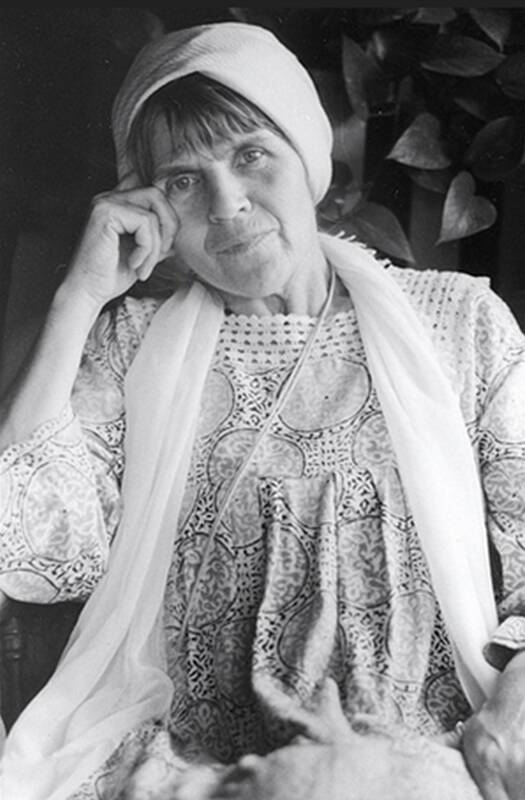 She was one of the first meditation instructors at the Insight Meditation Society in Massachusetts, as well as at Spirit Rock Meditation Center in California; for forty years she taught extensively in the United States and Europe, helping to establish meditation centers in Canada, Germany, Alaska, Massachusetts, Colorado, Portland and California. She founded Dhamma Dena Desert Vipassana Retreat Center near Joshua Tree, CA, in 1977, where she led retreats thrice-yearly up until last year. She was an ardent supporter of female Buddhist monastics’ efforts to be allowed full ordination and often welcomed nuns to Dhamma Dena. In 2006 the Women’s International Meditation Center Foundation recognized Ruth for her role in bringing Vipassana Buddhism to the West. Ruth’s journey began in Nazi-dominated Germany, where she grew up on an East Prussian farm. Later, as a young woman, she struggled to survive the near-fatal abuses and privations that befell her after the War. After immigrating to California, Ruth met and married Henry Denison, a spiritual seeker and former monk in the Advaita Vedanta tradition. Through the sixties and seventies they were active participants in the explorations of the counterculture, hosting lectures and workshops in their Hollywood home led by luminaries like Alan Watts, Aldous and Laura Huxley, and Timothy Leary; and traveling to Asia and Europe to study with the major spiritual teachers of the twentieth century. The teacher who influenced her most profoundly was Charlotte Selver, creator of the Sensory Awareness training. All this became a rich compost for Ruth’s later flowering as a Buddhist teacher in the eighties and nineties. She was authorized to teach by the great Burmese Theravada lay master, U Ba Khin, who chose her as one of his Western Dharma-heirs (another one was the very well known S. N. Goenka). The style of meditation she taught is called Vipassana, or “insight meditation,” a method created by the Buddha to cut through our programmed thoughts and behavior and allow our true nature to manifest. She also studied with the leading Zen masters of the twentieth century, both in Japan and the United States, helping to establish the Southern California Zen centers founded by Sasaki Roshi and Maezumi Roshi. While she considered herself a traditional Buddhist teacher and tried to convey the “Dharma” or teachings in their most straightforward form, she felt compelled to innovate and create, to shape the practices to reach her Western students. So in addition to offering guidance in formal sitting meditation, and teaching Dharma from Buddhist scriptures, she also instructed her students, in passionate and playful detail, to pay attention to the slow stretch of an arm at the side, to watch the colors change in the desert horizon, or to mindfully taste the food during mealtimes. Everything she did came from her desire to help her students open to the truth of this present moment, where enlightenment lies. 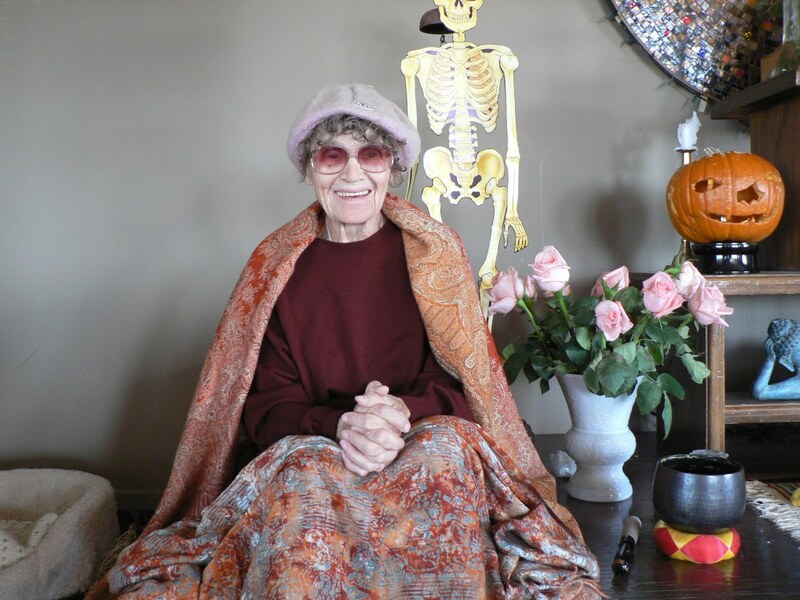 Through her years of intense spiritual practice and teaching, Ruth ripened into a mature, wise and delightfully unpredictable teacher of the Dharma. She taught from a center of wisdom and deep insight and was beloved and will be remembered by many. In lieu of flowers please make donations to Dhamma Dena Enduring Legacy Fund. For a beautifully researched and written biography of Ruth Denison, see Dancing in the Dharma: The Life and Teachings of Ruth Denison by Sandy Boucher.